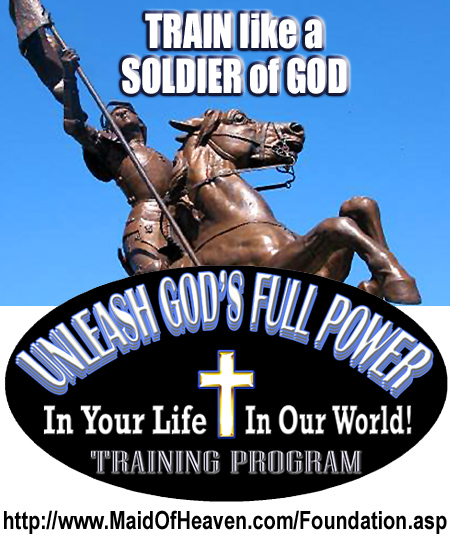 Maid of Heaven Foundation - START TRAINING YOURSELF TO LIVE FREE LIKE THE ORIGINAL AMERICAN PATRIOTS! 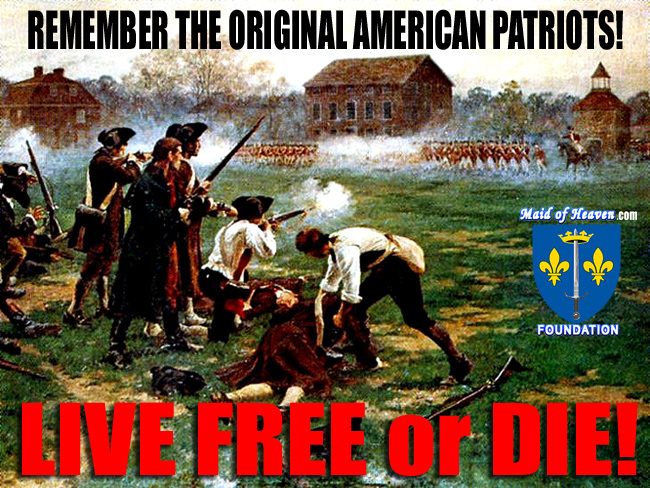 START TRAINING YOURSELF TO LIVE FREE LIKE THE ORIGINAL AMERICAN PATRIOTS! On the morning of the very day that the American Revolutionary War began the pastor of the men who fired the opening shots in Lexington, MA, was asked if his men were ready to which he replied: “I have trained them for this very hour; they would fight, and, if need be, die, too, under the shadow of the house of God.” (De Puy, W.H. American Revisions and Additions to the Encyclopedia Britannica Volume 1 Chicago: R.S. Peale Company, 1891. pg 473) When Pastor Jonas Clark spoke of training at this key moment in history he was not referring to the physical training his men had done as members of the Lexington militia but he was instead talking about the great spiritual training he had given them that had prepared them to fight for freedom like nothing else ever could. ANYONE who is serious about living free especially at a time such as this when we may actually have to physically fight for our freedom needs to learn from the exemplary examples of people like the original American patriots and St. Joan of Arc and engage in proper spiritual training! In order to help people today to do exactly this The Maid of Heaven Foundation is providing completely FREE a full spiritual training program that will help anyone and everyone to be able to draw closer to God in the way necessary to be able to unleash His full power so that we all can successfully LIVE FREE! 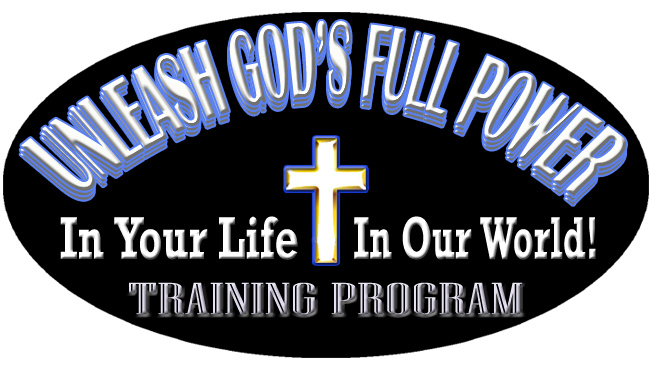 Start training yourself today by clicking on the logo below and follow the instructions on the UNLEASH GOD’S FULL POWER TRAINING PROGRAM page because as St. Joan of Arc once emphatically stated to her army just before her great victory at the Battle of Patay: "In God's name, we must fight them! 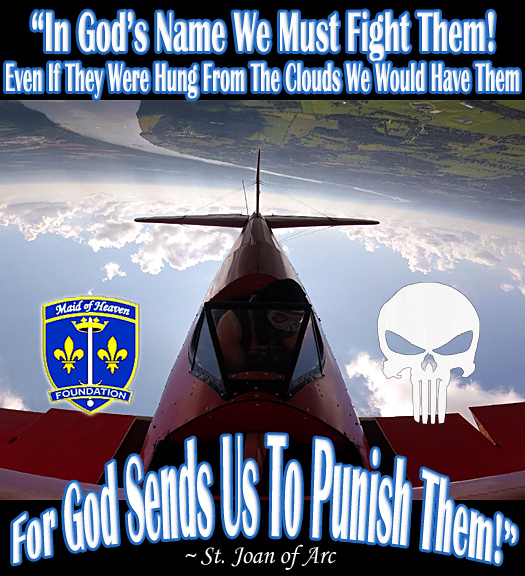 If they were hung from the clouds we would have them; for God sends us to punish them!" Jesus called upon every Christian to be “Light” and “Salt” in our dark and evil invested world which means He expects us to do a lot more than just hide from evil in a church building once a week. Just as Light always overcomes darkness so Christians today should be aggressively overcoming all the evil in our world. Just as Salt is a preservative so Christians today should be preserving the great spiritual traditions that God has given to us that can make us powerful forces for good overcoming evil. Unfortunately we can all clearly see that this is not happening which is why we are living at such an egregious time as this when mothers actually murder their own babies and the sacred institution of marriage ordained by God Himself has been turned into what the Apostle Paul defined as a perversion. After spending the better part of my life training both athletes and pilots to excel in ways beyond what the average person even believes possible I understand how important proper training is to being able to have success at anything that we do in life. Nobody would ever expect a person who has never been trained to fly an airplane to actually be able to fly proficiently yet most Christians today do not understand the extreme importance of doing proper spiritual training in order to be able to actually fulfill our calling from God to be Light and Salt in our world. When we talk about spiritual training we are really only talking about spending more time alone with God which is something that every Christian should be doing anyways. An hour or so in a church once a week is certainly not training in any way shape or form. Just consider what would happen if a professional football team today decided that all they would do is spend an hour once a week in a meeting for their training when all the other teams are training every day of the week for long hours. Does anyone think that such a team would have any chance whatsoever at beating the other teams? In much the same way how can anyone expect to effectively fight and overcome the forces of evil by spending so little time with God Who is THE source of power for defeating evil. “Everyone who competes in the games goes into strict training. to get a crown that will last forever!” 1 Corinthians 9:25 The reality today that so many Christians do not seem to want to get is that we are in an all-out war with evil and God expects us to be winning instead of losing. Just as soldiers have always had to undergo proper training to be able to function effectively in battle so Christians today must undergo proper spiritual training just like our ancestors before us so that we can live up to their illustrious example of service as soldiers in God’s Army. And as St. Bernard of Clairvaux said when he wrote In Praise of the New Knighthood we as Christian soldiers are called to be “God’s minister[s] for the punishment of evildoers” which means we need to be taking the fight to the forces of evil instead of just allowing them to take over our world as is happening today.